Hundreds of people in the Phoenix, Arizona area now have consumer access to Waymo’s driverless taxi service. These “early riders” can now order an autonomous vehicle pickup 24/7. Welcome to the future. Waymo – a Google sister company under the Alphabet umbrella – today announced the service, called “Waymo One” was officially underway. Over time, we hope to make Waymo One available to even more members of the public as we add vehicles and drive in more places. Self-driving technology is new to many, so we’re proceeding carefully with the comfort and convenience of our riders in mind. Waymo stresses that human drivers will accompany the vehicles. But it appears the point of the pilot-program is to eventually take off the training wheels and step into the future without a chaperone. 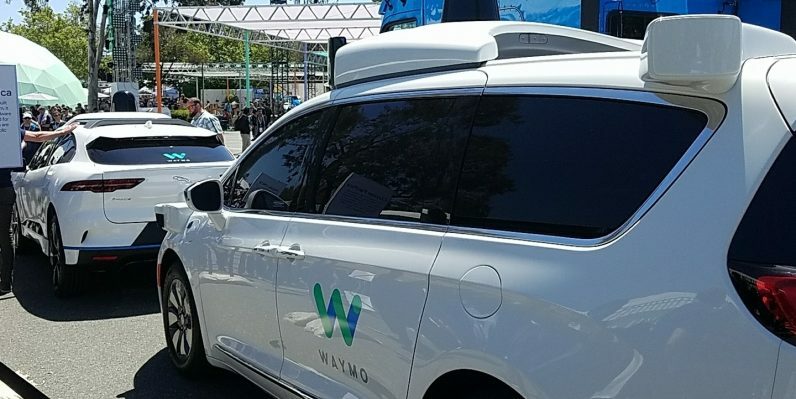 The vehicles are equipped with helpful consoles capable of answering user queries and providing direct access to customer support chat, according to Waymo. So it shouldn’t be a big deal once a company employee is no longer onboard to answer nervous humans’ questions. Those currently enrolled in the program have access to the Waymo One app, which seems to follow the general design of Uber or Lyft‘s apps. Customers request a route, get a quote, and confirm the ride. They’ll receive a notification when the vehicle arrives and then its off careening down the streets of Arizona with a robot in charge. And, if you live in the area, you can apply to be an early rider here, though we’re not sure if Waymo is currently adding members to the program or not. The company didn’t immediately respond to our inquiry. Driverless taxis are a game-changer, and they’re no longer science fiction. If things go well in Phoenix and the surrounding areas we’ll surely see more companies chomping at the bit to get in on the action in 2019.